Food & Beverage Processing Machinery/n.e.s. 1. XINHE Ice Block Maker adopts the compressors from Europe, America and Japan and international renowned components which has the following features such as perfect design, small size, easy cleaning, being installed safe protector inside, energy saving, long life and so on. 2. Complete specifications: Ice block from the weight of 2 kg to 25 kg; The time of producing ice every time: 4hours / 6 hours / 8 hours /12 hour, etc. 3. Its installation is simple, and it just needs to be connected to a power supply. 4. It is designed specifically for the tropical climate and coastal area. 5. 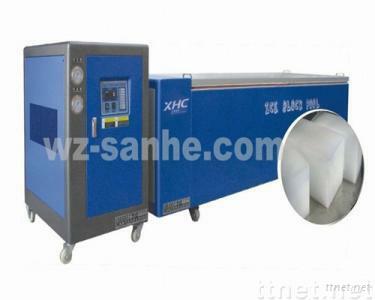 XINHE ice block maker is our new product designed by ourselves. Machinery, Food & Beverage Processing Machinery, Food & Beverage Processing Machinery/n.e.s.